The following video is a keynote address I delivered to the Schenectady County Community College Student Business Club on May 2, 2012. I apologize in advance for the poor lighting. However, this is still a great discussion. 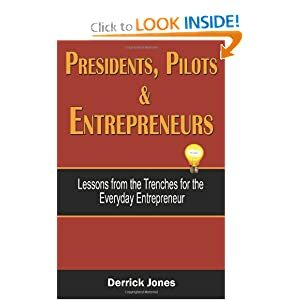 I address some of the myths of entrepreneurship along with the phases of entrepreneurship. Professor Matt Farron invited me to give the key address and also invited local entrepreneurs to visit and have lunch with the students. We all had a great time sharing our experiences with the students and they had a number of great questions. I encourage all entrepreneurs to take time out of their busy schedules to visit with and mentor students. You may very well say something that sparks the next great idea. And special thanks to the culinary students for a fantastic lunch! Enjoy the video!